An Austin judge temporarily blocked the Texas Department of Family and Protective Services from issuing a child-care license to an immigration detention center in Karnes City on Wednesday. An Austin judge temporarily blocked the Texas Department of Family and Protective Services from issuing a childcare license to an immigration detention center in Dilley on Wednesday. Grassroots Leadership, a nonprofit organization opposed to for-profit prisons, sued the department on Tuesday challenging its authority to issue childcare licenses to privately run immigration detention centers in Dilley and Karnes City. The Karnes City facility has already received a temporary license. “Today, we are glad a judge has agreed to halt, at least temporarily, the appalling practice of labeling family prisons as childcare facilities,” said Bob Libal, executive director of Grassroots Leadership in a statement. 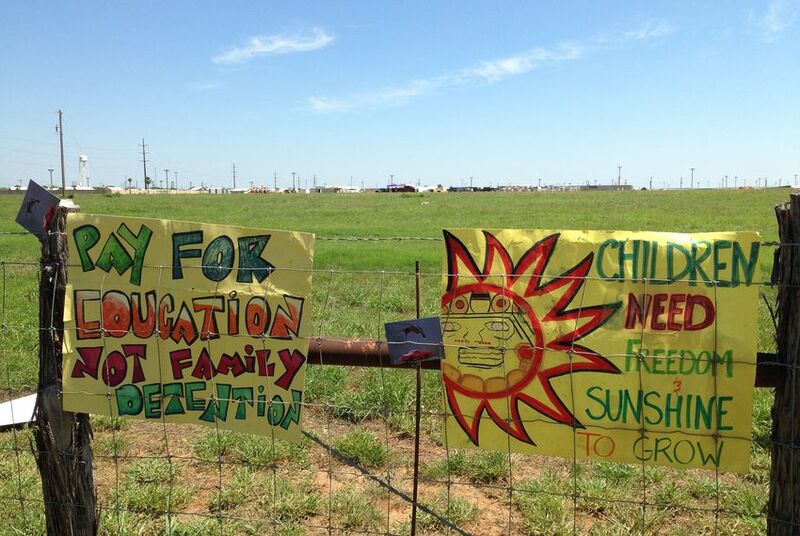 “Family detention camps are prisons. They are not childcare facilities. DFPS has for a decade refused to regulate these facilities because they do not have authority to do so." The ruling by state District Judge Karen Crump said the temporary restraining order "is necessary to preserve the status quo while the validity of the agency's regulation" is disputed. The restraining order will expire in two weeks unless the court takes further action. It is scheduled to hear the organization's request for a temporary injunction on May 13. Last year, a federal district judge ruled the women and children at the Karnes center and a similar facility in Dilley were being held in poor conditions that violated a 1997 settlement requiring undocumented children to be held in places that protect their overall well-being. The judge called for families being held in such prisons to be released. The federal government has appealed to the U.S. 9th Circuit Court of Appeals. Libal told the Tribune on Tuesday that the department's decision to license the Karnes center served only to make the detention of the children at these centers permissible under the settlement. Patrick Crimmins, a spokesman for the department, said issuing broad childcare licenses to these centers grants the state more oversight and the ability to conduct regulate inspections. Crimmins declined to comment on the judge's ruling.